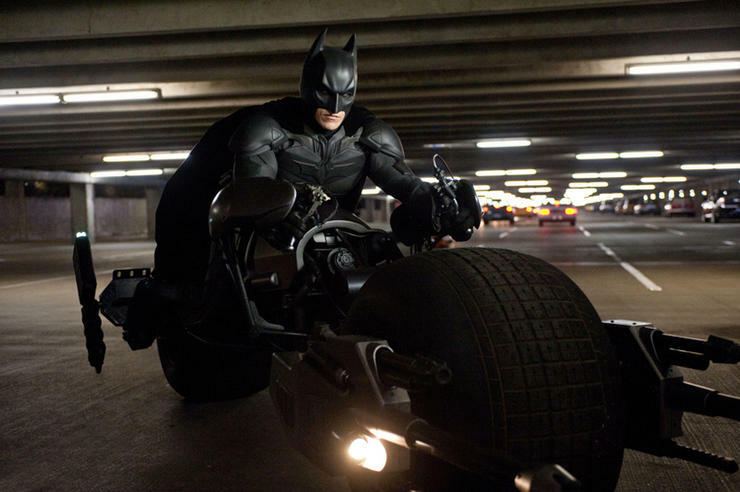 Movies.com > Movie News > Film Face-off: 'Iron Man 3' vs. 'The Dark Knight Rises' - Which Is the Better Part 3? Film Face-off: 'Iron Man 3' vs. 'The Dark Knight Rises' - Which Is the Better Part 3? With Iron Man 3 now in theaters it's a chance for us to look back at all of the superhero part threes that have come before it. Here's the list: Superman III, Teenage Mutant Ninja Turtles III, Batman Forever, Blade: Trinity, X-Men: The Last Stand, Spider-Man 3 and The Dark Knight Rises. Sure there are some straight-to-DVD sequels, but I don't think we need to bring up the likes of Darkman III: Die Darkman Die here. Now this is a list of all of the really good superhero part threes: The Dark Knight Rises. That's it, that's the list... until now. Yes, as the late, great Yoda always foretold, there is another. With the help of director Shane Black, Robert Downey Jr. and even Gwyneth Paltrow, Iron Man 3 is worth seeing, now let's see how it stacks up against The Dark Knight Rises. Batman Begins changed the way we viewed superhero movies. I'm not talking about seeing a superhero film in 3D, because this Batman doesn't do that. It's gritty. 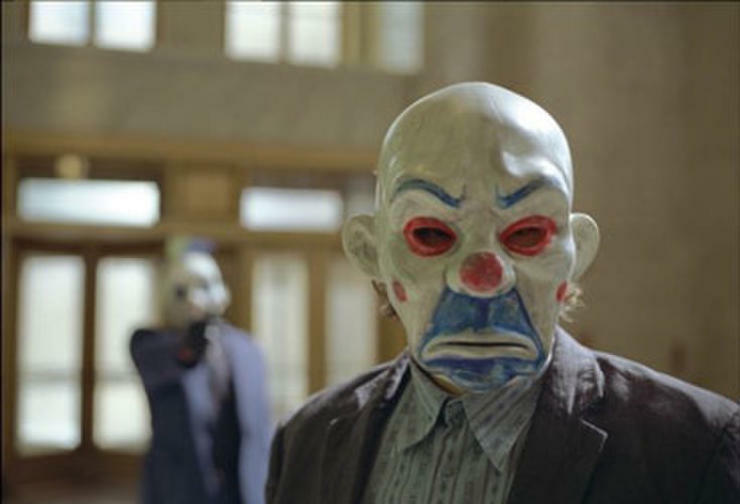 Then there was the perfection that was The Dark Knight, which even included an Oscar-winning performance by Heath Ledger. Iron Man was a refreshing change with no daddy issues or dark past. Mainly though, it was fun watching Downey Jr. have fun. Iron Man 2 brought those pesky dad issues we had properly avoided. 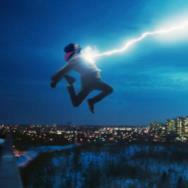 There was also the brilliant side tangent of The Avengers, which you can't really call an Iron Man movie. Winner: Iron Man 3. That's right. Because Iron Man 2 was so weak, Iron Man 3 wins this category. Think about it like siblings. If your older brother and sister are perfect, you have very little room for error in the eyes of your parents. But, if that second child is a bit of a train wreck, your parents will be pleased as punch that you even went to class, let alone graduated. Iron Man 3 does more than graduate, it equals the quality of the first. Bruce Wayne is a reclusive billionaire with parent issues, namely, they were murdered when he was young. With The Dark Knight Rises we find him retired from being the Bat, and still banged up. 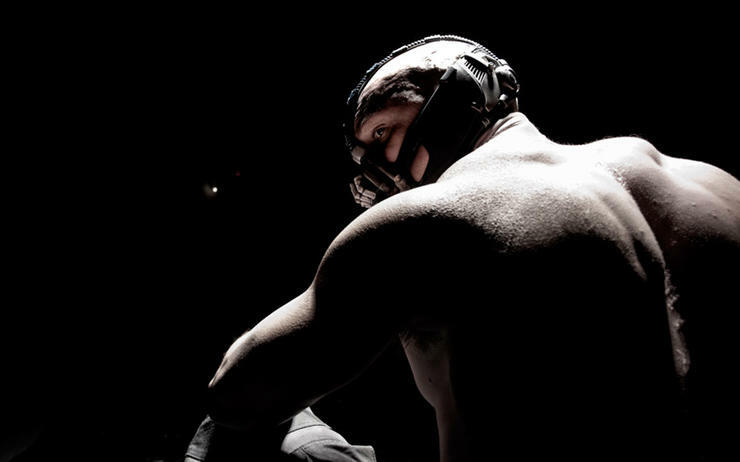 He quickly hops back up when Selina (Anne Hathaway) and Bane (Tom Hardy) start causing trouble. Unfortunately he hopped up a little too quickly, and Bane knocks him down. He rises again proving the title of the film serves a greater purpose, and saves Gotham. Plus we have Blake (Joseph Gordon-Levitt) helping Commissioner Gordon (Gary Oldman). Tony Stark is an arrogant billionaire with girlfriend issues. Now he's got a little PTSD (post-traumatic stress disorder). Can you blame him? After all he almost died at the end of The Avengers, plus the idea of aliens and other worlds can be really heavy on a hero's psyche. Now he finds himself trying to rebuild an Iron Man suit with a little kid in the middle of nowhere. He's got to rebuild his body and mind to save Pepper, the president, and maybe even himself. Plus we have Colonel James Rhodes' (Don Cheadle) Iron Patriot, and Pepper (Paltrow). Winner: The Dark Knight Rises. Bruce loves his city. 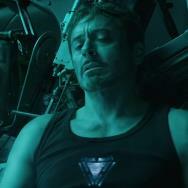 You feel that emotion and devastation more than Tony's love for Pepper. Iron Man 3 just kind of throws in the tangent with the president. There are some cons when each hero is in costume, with Batman's voice being better than us staring at Tony's face/computer screen when he's Iron Man. There's also this: I would much rather see a stand-alone film about Blake than I would about Colonel James Rhodes. Bane is a terrorist who wants to give people a shred of hope, only to ultimately destroy their spirit and bodies. Selina is a thief willing to do anything to shed her past. Do I have to say spoiler alert? Fine, spoiler alert, Miranda (Marion Cotillard) is the daughter of Ra's Al Ghul, and the true mastermind behind Bane's plans. I didn't grow up with the Iron Man comics. Therefore, I am allowed to really enjoy the Mandarin (Ben Kingsley). The guy behind that guy is Guy Pearce's Aldrich Killian. He's a scientist who created Extremis. It's this thing that allows people to regrow limbs, but they might accidentally blow up. Winner: The Dark Knight Rises. This is a tough one because all of these characters have some issues. 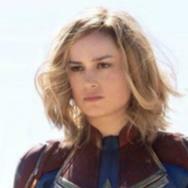 Bane and Miranda really could have thought out their plan just a little bit better, and gotten over the idea of needing to see everyone's hopes get up before they pull the rug (bomb) out from under them. The Mandarin is utilized well, but it's smaller role than expected. Aldrich is great but a little typical (scorned, and out for a little too much revenge) and the entire idea behind the Extremis seems a little more alien than aliens. So why does The Dark Knight Rises win? Selina. Remember when we all loved Anne Hathaway, but then she gave an even better performance in Les Misérables, winning every award, so we decided not to like her anymore? Her Selina character isn't totally bad, but she's definitely not good, and the film could have used more of her. There's also the small role of Cillian Murphy's Scarecrow, which is a nice touch. There's a gun which seems to knock power out of electronic devices. The Batpod shows up again, with Selina getting a turn. Batman goes for the utility belt a few times. Then there's the Bat. It's a hover airplane that's fully armed. Iron Man has a new suit that he can summon through hand motions. He's also learned to remote control a suit, and he create an arsenal of new Iron Men for every occasion (smashing, shooting, etc.). Plus Tony does some creative shopping at Home Depot. Winner: Iron Man 3. Batman's utility belt has seen better days. Bane even makes fun of the "theatrics" of the belt. Tony's makeshift devices from Home Depot are more interesting than anything Batman did with his belt. That's not a good sign. Plus, Batwing removes Batman from the fight, as opposed to the brilliance of the Batpod, which puts him closer. It felt like the Batwing was a prop taken from a Transformers film. Iron Man's hand-motion suit even develops a little personality, and leads to a really good laugh at the end of the film. The action scenes are A) Dangling a plane from a plane, B) Selina at the bar, C) The stock exchange chase, D) Jumping out of prison, E) The final battle. The action scenes are A) Helicopters at home, B) Fight at the bar, C) Tony at the house finding the Mandarin, D) The Air Force 1 rescue, and E) The final battle. Winner: Iron Man 3. 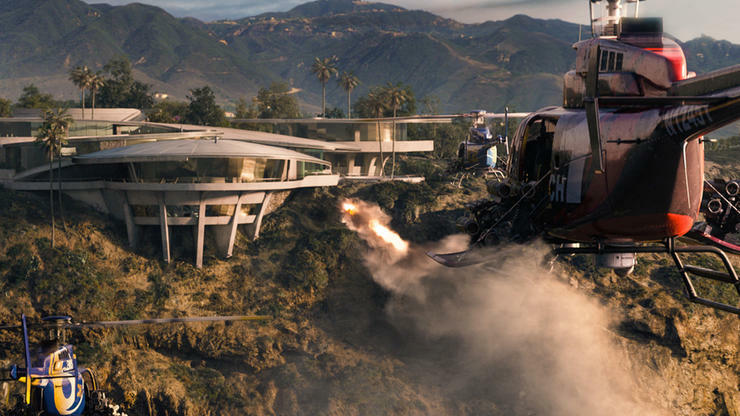 Visually, the helicopters at Tony's home was the most impressive. Iron Man's makeshift weapons in that scene, like a grand piano, were pretty great. The Dark Knight Rises' best action sequence was the dangling plane in the beginning, otherwise I felt like it relied too much on the Bat. Let's also compare the action when no suits are involved. Tony delivers without the suit, while Bruce does do some good exercises in prison, I didn't end up caring for his leap of faith. After all, the leap is supposed to signify he is ready and willing to die for the mission, but apparently he found some wiggle room in that with the autopilot. OVERALL WINNER: Iron Man 3 over The Dark Knight Rises, three to two. I dislike when this happens. I like Batman more than I like Iron Man, and The Dark Knight is clearly the best film of these. This third Batman in this series is nowhere near the downgrade that Batman Forever was, but it did show a chink in the armor. Iron Man's chink was with Iron Man 2. Iron Man 3 plays to the strengths of the character we love, even if it is getting harder to tell Downey Jr. and Tony Stark apart.